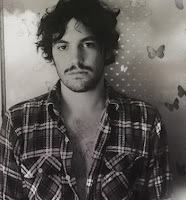 Robert Francis premiered his new video last week. The song, "Junebug, " is from his record Before Nightfall. Check it out below and download "Mescaline" in the MP3 Grab. Just 22 years old, Robert displays a songwriting talent and musical breadth that far exceeds his young age, and has prompted National Public Radio to compare him to classic American songwriters like Townes Van Zandt and Steve Earle. After self-producing and playing nearly every instrument on his 2007 independent release One by One Robert enlisted the services of Grammy Award winning producer D. Sardy for his Atlantic debut Before Nightfall.